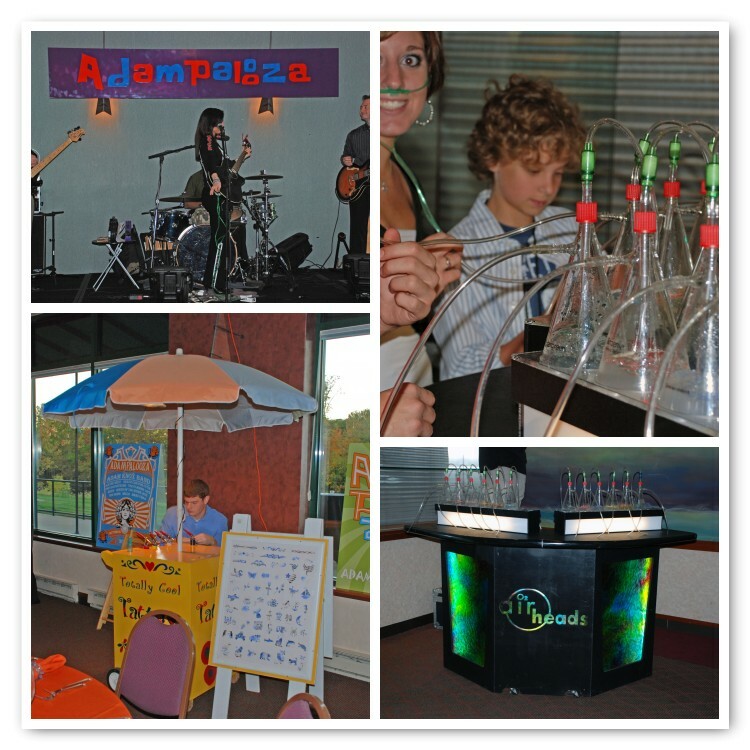 Adampalooza was an event we designed a few years ago (I just found the long lost pics). 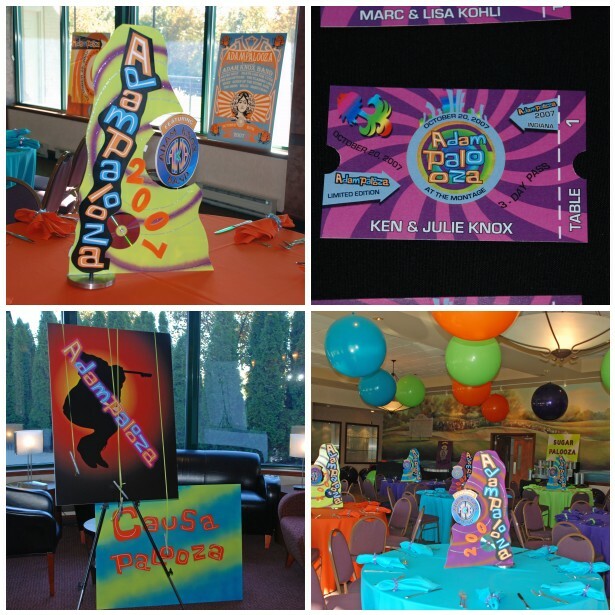 The color scheme was based off of the colorful Lollapalooza ticket from 2007-Turquoise, Orange, Lime Green and Purple. 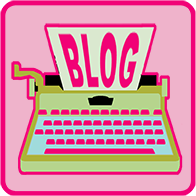 We wanted to create a festival feel so there were plenty of festivities for the guests to enjoy. 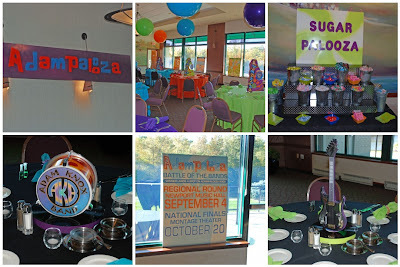 Shown above is the Adampalooza sign, a pic of the kids room, “Sugar Palooza” candy bar, mini drum centerpieces with the “Adam Knox Band Logo”, custom concert posters and mini guitar centerpieces. Top Left: Adampalooza centerpieces for the kids tables which had a center that spinned and a LED flashing light in the CD. 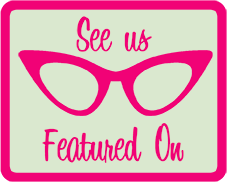 Top Right: Custom Adampalooza Concert Ticket Placecards. Bottom Left: The sign in board and donation drop off. Bottom Right: Room view of the kids area. FESTIVITIES Top Left: Live local band in adult room (kids were entertained by a DJ. Top Right: The Oxygen Bar…yes oxygen bar…complete with 12 scents and nose hoses. Bottom Left: Totally Cool Temporary Tattoos. Bottom Right: the O2 Bar. We labeled the bar areas “Knox on the Rocks”. Top Left: Knox on the rocks custom bar napkins. 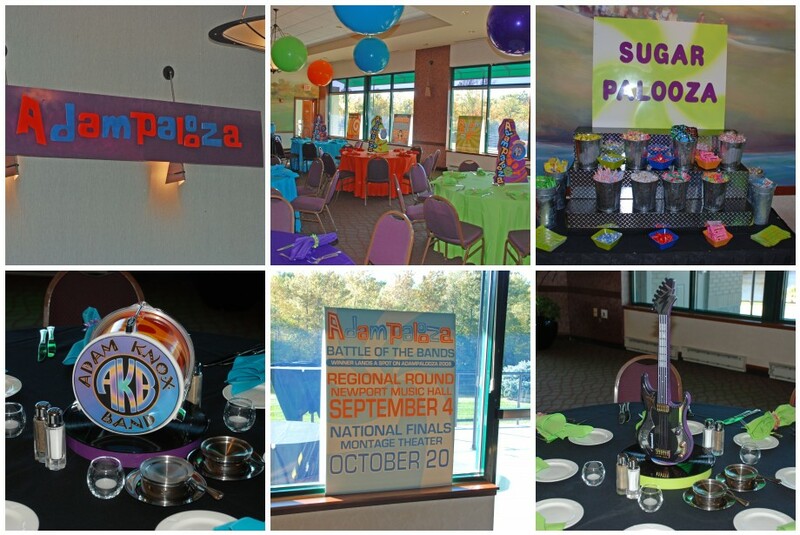 Top Right: gourmet sodas for the kids with selections that match the decor. Bottom Left: Ice Luge that was carved to mimic the kids centerpieces…this looked fabulous when it was lit at night. 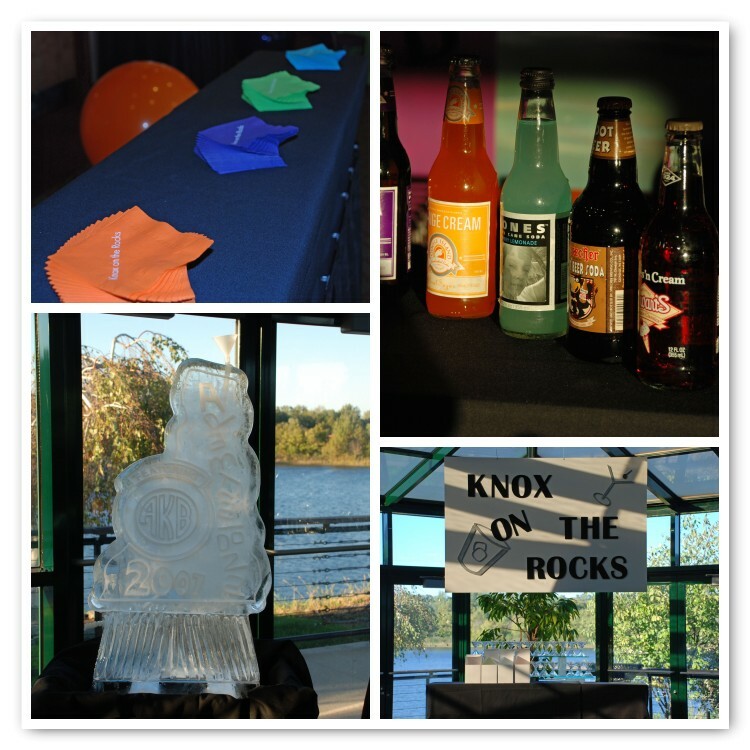 Bottom Right: Knox on the Rocks bar sign. 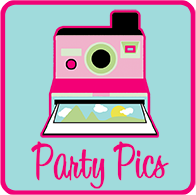 This entry was posted in Bar Mitzvah, Concert, Lollapalooza, Music Festival, Music Theme Party on November 26, 2009 by Setting the Mood.